Location! Location! Location! 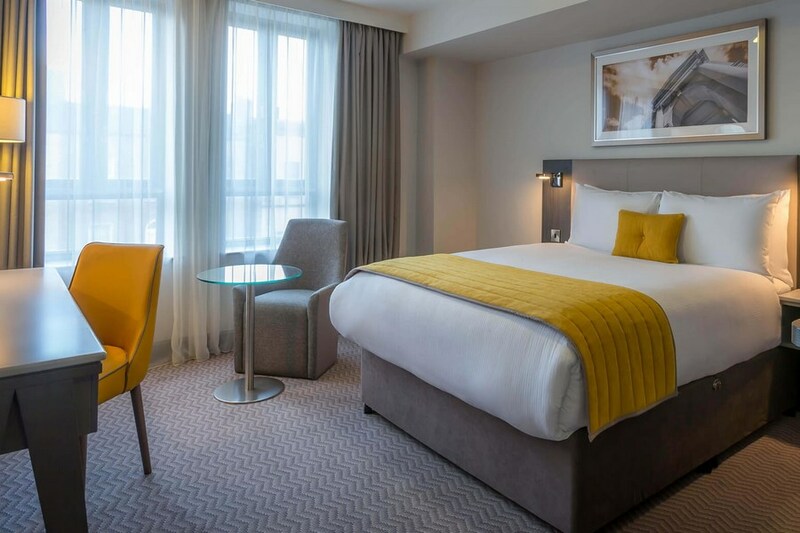 With its own underground car park and just a few minutes walk from the Bord Gais Theatre, National Convention Centre, Landsdown Road stadium, Croke Park, Three Arena and Temple Bar you will not be disappointed. 101 spacious ensuite bedrooms and WiFi access throughout. The hotel in on 98-107 Pearse St. D2. Overnight car parking is charged at 10.00 per night. Most of Dublins major attractions are a walk away for the hotel. Excellent location for midtown business. Staff very courteous and friendly. Delighted with our stay. Three star. Very good stay overall. Lovely modern room. Very quiet. Friendly and helpful reception staff. Onsite parking for €10 - good value for central location, but cost should be mentioned on the site. Continental breakfast selection was good but the hot food was mostly gone/consumed by 9am, what remained of the fried potato and tomatoes was totally overcooked, dried out and inedible. Lovely rooms, great selection for breakfast - we really enjoyed our stay. So near the Three arena. We would stay here again. Lovely room , service and staff . Super location . I would give a four out of five rating Value for money central location you can walking to citycentre, Trinity College, if you wish to temple bar, it is a good walk but can be done. very central for the Board Gas Theatre, The room was spacious clean had everything in it that you would require. I don’t have any major complaint the only thing is that there was work being carried out while I was there I was woke early was expecting it as this happens, the breakfast was fine it is buffet, may need to be looked at to improve as i.e. less coked food out as it dries out due to length of time an idea is to base it on number of guests more guest buffet is fine less can be done fresh. Over all I would be recommended the Maldron for place to stay. Very good experience at this hotel on Sunday. Great front desk service, helpful and friendly. Rooms recently refurbished and very nice. Also parking onsite. Would definitely stay again. All in all was quite happy. I had three small issues - First night in a twin room, the room was stifling hot and old style radiator with the dial stuck, I couldn't turn the heat down - also windows to the noisy street so could not open those - as a result got very little sleep. Mentioned it at the reception in the morning and they said to check it out straight away. My other issues were that there was no hair dryer and the telly channels were poorly programmed and not named so no idea how to find the channel I wanted. Second night in a smaller double room, quiet room, great air conditioning, slept fine. The breakfast the usual buffet which never great but this was actually fairly ok, fried eggs were nice. Had dinner, the food was ok too. On the good points they have super nice and helpful staff, the new decor of the rooms is lovely, and as this is handy for where I needed to go - would in fact stay here again. Fine for the price of €35 B&B it was fine. But smell of paint in the bedroom was stifling and actually kept us awake. Beds were comfortable and a fine TV. No bath towels in room. Breakfast was grand. Parking was good value at €10. I would stay again. A great hotel in an ideal location for the Bord Gais Theatre or indeed many city centre attractions. Staff very friendly. Decor in the hotel may be a little dated but I will definitely stay in this hotel again based on the helpful and friendly staff and location. I would give a four out of five rating for our stay in the Pearse Hotel. The room was spacious and the double bed for a twin room was great. Good buffet breakfast It was a good walk from town and I suggest that the site should give an indication of the walking time from Trinity College. Nonetheless, the walk was OK as the weather was great. We have no complaints whatsoever and would recommend the hotel. We stayed for 2 nights during a busy weekend in December, and would not hesitate to return. The room was spacious and clean, the locality was good-walking distance to grafton street-but also there was a bus stop just across the road. The staff were outstandingly friendly and helpful. We highly recommend this hotel. Good hotel that was cheap and cheerful, nice staff and a very good breakfast. If you're looking for a hotel in the centre of Dublin you could do a lot worse than The Pearse Hotel. this hotel was fine, the rooms are spacious and clean, most of the staff were friendly enough. the hotel itself is not in a great location and it's quite hard to find if you dont know dublin, the one way streets makes it so hard to find! also trying to locate the parking tor he hotel is difficult. the breakfast wasn't nice atall either. we did have a great weekend none the less!! Nice modern hotel, in a convenient city centre location. The room was a nice size with a very comfy bed. In fact i haven't slept so well on the first night in a hotel ever I think. Desk clerk was very courteous and professional. Parking was secure and easy to locate, once you were in the car park. this is where the fifth star goes. The hotel is nearly invisible on Pearse Street. At night especially it's very hard to make it out when you're seeing it for the first time. They really need to try a bit harder signage wise. Also the car park isn't easy to find either. Directions to the street it's are good, but it's not well sign posted again when you get to it. if you want a quiet nights sleep, ask for a room in the back, we did. the price was very good, which is why I use this website. The Pearse Hotel was excellent. The room were clean, spacious and very quiet. The service was friendly and helpfull. Breakfast was great and the underground car park was very convenient. The only down side was that the bar food was expensive, took a long time to come, and was not exceptional for the price. Hotel Staff were lovely - very friendly and helpful. Hotel was very clean & cosy. Would definately stay again. Our son, age 7, was with us and he loved it - requested quiet room & got lovely quiet room looking out onto the back courtyard. Underground car park a huge bonus & only €15.00 - we arrived at mid-day on sunday and didnt move the car until we leaving the city which was after 5 in the evening. Bus stop across from hotel - the no. 1 bus took us near to Henry Street. Had dinner in the Restaurant the evening of our stay and we couldnt fault it. Breakfast was perfect too. 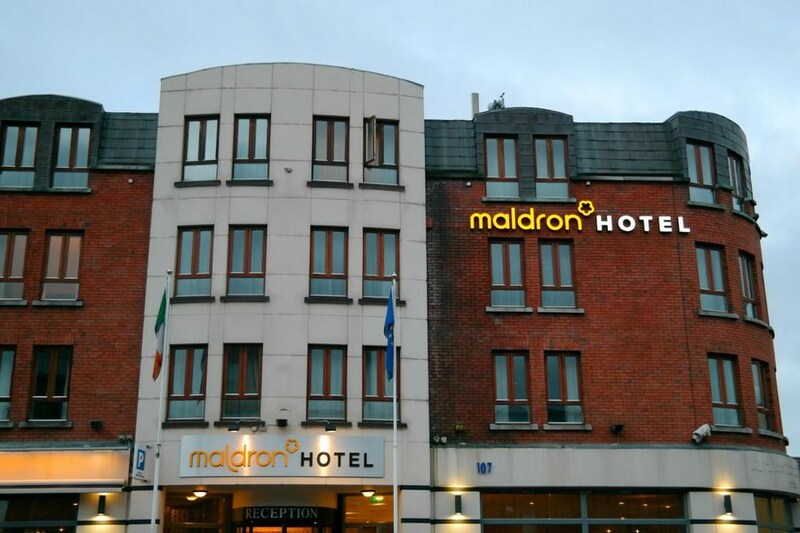 Stayed here on 13th and 14th april 2012 when attending a gig on the quays - location very handy for shopping areas - a little walk but nothing major. hotel very nice overall, just 2 little issues, the bed was fairly old and a little uncomfortable and at breakfast no teapots, had to get up and pour a cup from a canister on a table every time you wanted a top up - however i would definitely stay here again due to central location and ease of finding the hotel by car. Great hotel in a great location. Very good value and staff really friendly and helpful. Really nice hotel, staff were helpful and friendly, food was amazing. Could not fault this hotel, great value for money. Great location also for the Grand Canal Theatre. Had a lovely stay in the Pearse Hotel for 2 nights last weekend. Found the girl (Margaret I think) on reception exceptionally helpful. Had to ring her for directions to the hotel and she was spot on. Rooms were spacious and spotlessly clean. Had trouser press and iron and ironing board, also hair dryer and tea making. We ate in the hotel the first night and the food was really tasty, plentiful and cheap. Soup and dessert were only €3 each. And we can vouch for how tasty they were. Chicken wings were finger licking good. Didnt have breakfast included so can't comment on it. Would definitely stay here again. We paid €10 per night to park the car here, but could have left it there on the day we were leaving if we had wanted, at no extra charge. Handy if you are not leaving Dublin straight away. We didn't bother to move the car for the weekend, using taxis instead, (there were 4 of us to share the cost). It cost about €8 to get to O'Connell Street from the hotel and took about 5 mins. Hotel was perfect, although I only stayed one night I would definetly stay again. Great value. We stayed at Pearse Hotel recently and found the hotel very clean and staff very friendly and helpful. Would stay there again if in Dublin. Had booked a family room as we were travelling for a treat for the kids. Room was very small, 2 double beds and a bathroom. Not a great selection on the cable tv. On our first night there we were frozen because the heaters didn't work then the second night we were passing out with the heat, went from one extreme to the other! There was no room service menus or any kind of welcome pack that you'd find at majority of hotels. Had shower turned on Saturday morning and just before i got in the security were knocking on door asking what was going on that the fire alarm had been triggered from our room... Kids and partner were still asleep in bed and got a very rude awakening, turned out apparently the steam from shower set it off... No apologies or anything. Breakfast was a shambles, cocktail sausages were being served, cold bacon, over done eggs and dried out beans. And as for the tea - it was like a teabag was dipped in for a second and taken out again. Kids went from our table in bar to the information section at reception to get leaflets about things to do in Dublin and security told them - "Don't touch or else..." Not a very nice way to speak to an 8 yr old and 5yr old.WIFI charges are scandalous also. Inquired at reception which was best way to get to the zoo and was told ring a taxi! Not one bit helpful at all! Myself and my wife stayed in this Hotel Friday/Saturday night 23rd and 24th September 2011. Very handy for the Grand Canal Theatre (just around the corner). 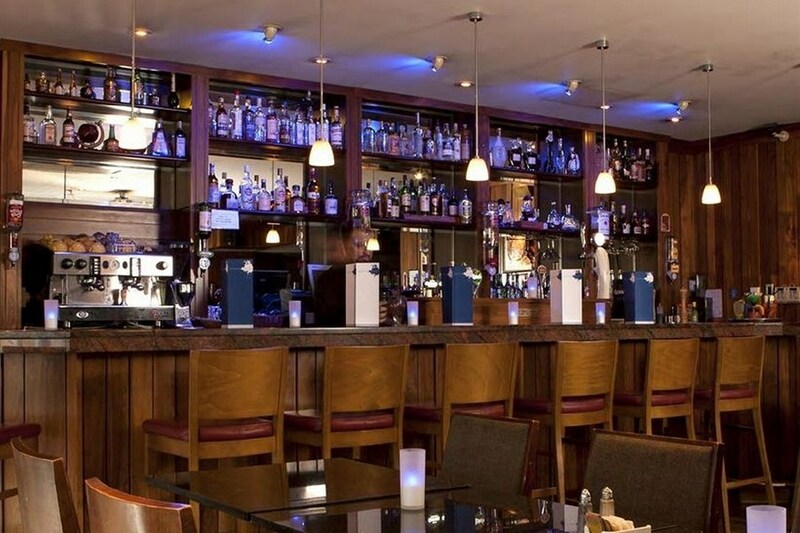 The staff from reception through to bar/restaurant were excellent and could not have been more helpful and seemed genuinely concerned that our stay was without fault. The room was spacious with a large bathroom/shower area. Breakfast was self service and plentiful from continental through to traditional Irish (and very tasty). I would highly recommend the Hotel and would stay there again should I visit Dublin. Thank you and compliments to management and staff. Overall the hotel was fine.found staff a bit rude....I was told I only booked the room for two people when I had booked family room and my booking confirmation clearly showed two adults and 2 children. Also a staff member was busy on a personal call when we arrived and after several minutes told us the room was not ready and to come back after 3pm. We were going to a show at 2.30 so that was disappointing. Room was also very noisy. This hotel was a pleasant surprise as I had read a few reviews that were not encouraging. The rooms were clean and well maintained. The breakfast was excellent. I would use it again. The hote is in a good location. It is just a 10 min walk from the Grand Canal which itself is not to far from the O2 (just cross the new bridge on the Liffey. The room was large. I had plans to meet people so did not eat dinner at the hotel but the breakfast was very good. Great location and a really nice hotel. Great with the carpark, we left our car in the carpark over the weekend.